Chief of the bureau of stenography of the Hungarian Parliament; born at Zala-Egerszeg 1837; completed his studies at Székesfehérvár and Budapest; adapted the Stolze system of stenography to the Hungarian language, and became the founder of Hungarian stenography. 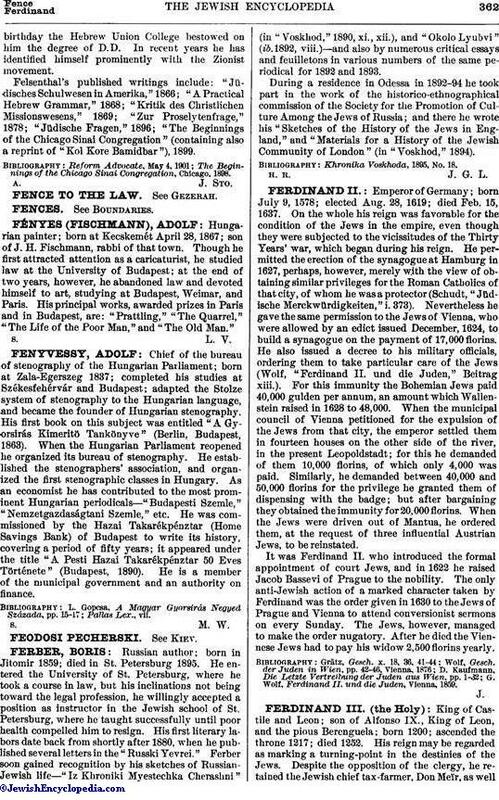 His first book on this subject was entitled "A Gyorsirás Kimeritö Tankönyve" (Berlin, Budapest, 1863). When the Hungarian Parliament reopened he organized its bureau of stenography. He established the stenographers' association, and organized the first stenographic classes in Hungary. As an economist he has contributed to the most prominent Hungarian periodicals—"Budapesti Szemle," "Nemzetgazdaságtani Szemle," etc. He was commissioned by the Hazai Takarékpénztar (Home Savings Bank) of Budapest to write its history, covering a period of fifty years; it appeared under the title "A Pesti Hazai Takarékpénztar 50 Eves Története" (Budapest, 1890). He is a member of the municipal government and an authority on finance.